Maybelline recently launched their Rebel Bouquet collection (known as Rebel Bloom in the US) which is their Spring-Summer collection made up of “bold” pastel colors. The collection in India includes 6 lipsticks and 9 nail paints. They have included some face and eye makeup products too but these 2 categories are the main focus of it. I was sent over some products from the range to try out and I will be reviewing the REB05 lipstick for you here first. Btw they have launched some really interesting nail paints in this collection under the Color Show Go Graffiti umbrella for just Rs. 145/-. The packing is very standard to the brand – rectangle shape with a red translucent plastic cover and a metallic body inside. There was a wrapper on top with the name of the collection printed on it in a very pretty design. It would have given a very interesting look if they had printed that pattern on the plastic cap directly thus setting it apart. 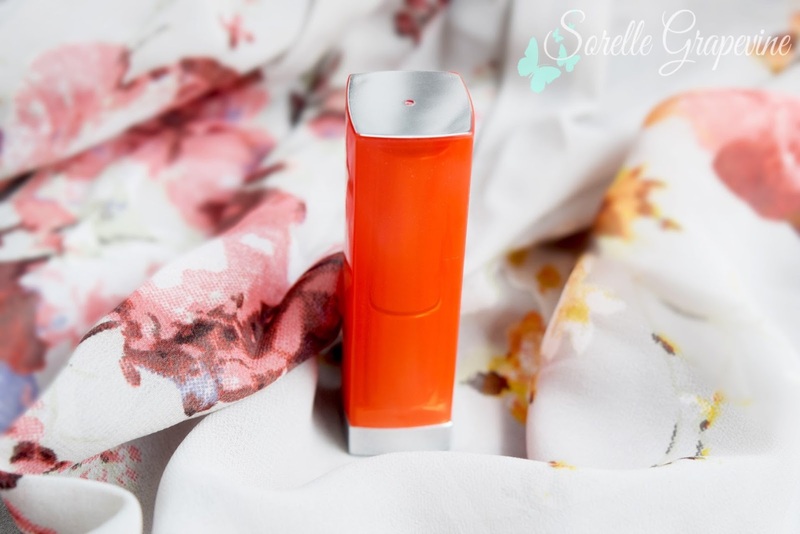 The name of the shade rather its number is printed on the bottom of the tube and you can get a rough idea of the shade of lipstick from it since it is supposed to be colored in the same shade. You get 3.9 gms of product for Rs. 450/-. 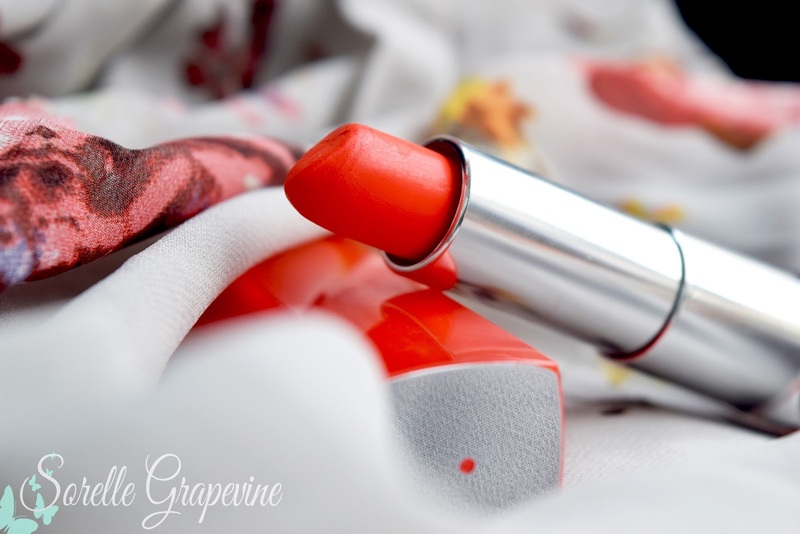 The texture of the lipstick is quite creamy and looks glossy on the lips. Since I have pigmented lips I needed a couple of swipes to build the brightness of the shade and get a nice even coverage. Usually the color tends to move around in such a texture but it stayed put for me. It did sit in the lines of the lips a bit. It is not transfer proof but it does not leave the lips completely bare. In the kiss test it faded down to a soft stain on the lips by the 10th kiss. It is resilient towards drinks but when it comes to meals it doesn’t stand up and comes off in patches. I had this on while I was at work and was mainly having some tea. It turned into a semi matte finish over time and didn’t loose its color intensity much. Unless it comes in contact with something oily this does not come off very easily. Even my water based makeup remover and soap/water were no match for it. You don’t get to see such a toughness in creamy textured lipsticks at all. REB05 looks like a soft orange shade in a single swipe on my hand but on my lips it looks a lot deeper. There is no shimmer/glitter particles to it and it has nice sheen to it. Orange is supposed to be the shade for this season and this is a good alternative if you don’t want to wear something which is too bright or in your face kinds. 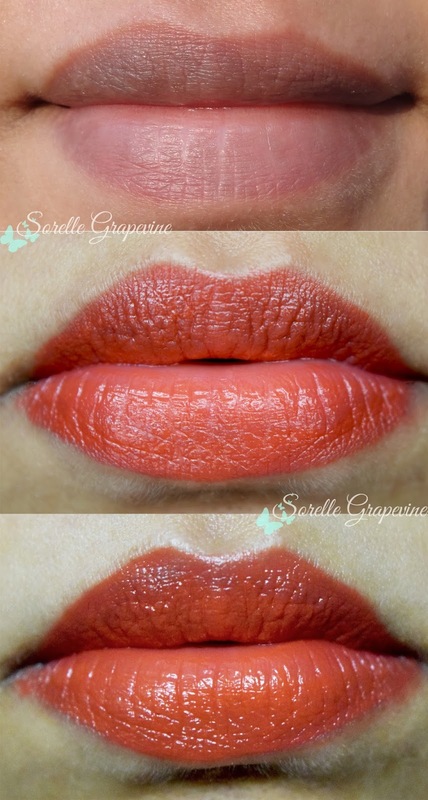 I find this color to be very versatile that can be worn anytime of the day and for any occasion. Tap the color on your lips to get a softer pay off so that you can carry it off in college or at work. With that I wrap up this review. What have you been eyeing from this collection? I wanted to pick up the REB01 shade from it as well as the nail paints. Luckily I was sent over both and the remaining I will add to my collection soon 🙂 Waiting to hear your thoughts and comments. See you soon! 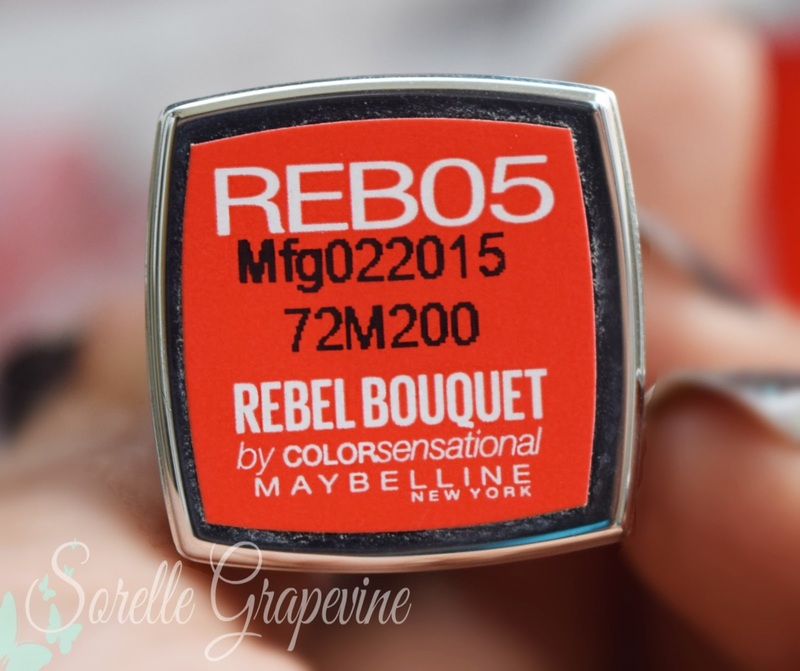 Will you purchase Maybelline Rebel Bouquet REB05 Lipstick again? Though I like the shade I would like to pick something else for variety. 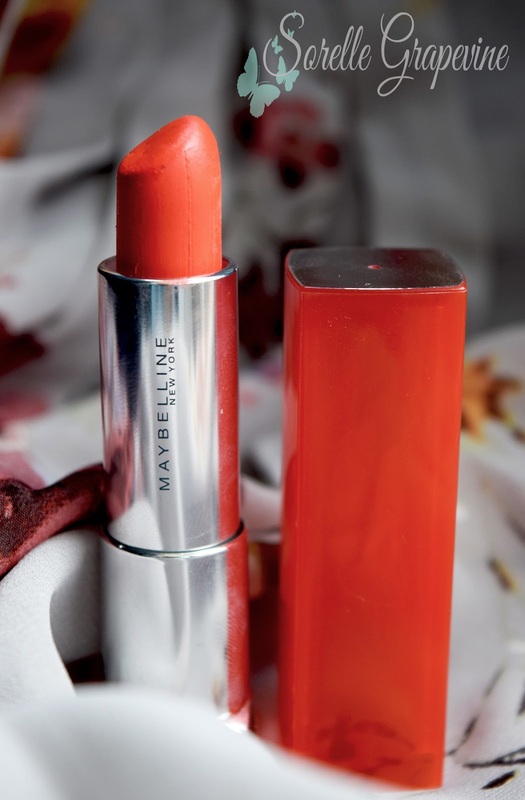 Will you recommend Maybelline Rebel Bouquet REB05 Lipstick to your friend? Yes. 1st Giveaway – Winner Announcement!